China’s stock market has suffered its sharpest fall since 2007. The Wall Street Journal reports that the Shanghai Composite Index ended down 8.5% at 3725.56, its second-straight day of losses and worst daily percentage fall since February 27, 2007. China’s main index is up 6% from its recent low on July 8, but still off 28% from its high in June. The Shenzhen Composite fell 7% to 2160.09 and the small-cap ChiNext Closed 7.4% Lower at 2683.45. 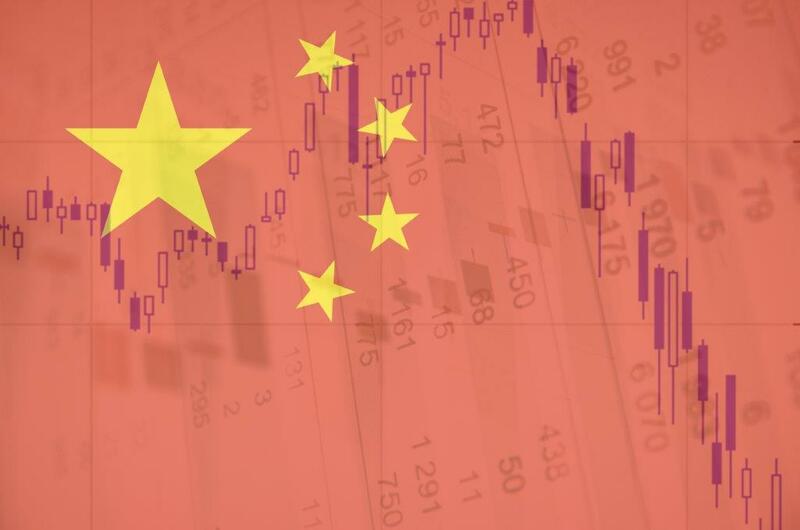 This follows a three week rally in response to heavy government intervention which has seen a state-owned fund called China Securities Financial Corp. spending hundreds of billions of yuan in supporting the market and 21 brokerages pledging to support the Shanghai index. The collapse follows the release of data showing that factory profits in the world’s second largest economy fell 0.3 per cent in June and China’s manufacturing activity for the month of July coming in at its lowest level in 15 months. But the big worry is that the Chinese government intervention is simply unsustainable. It can’t keep doing it forever. Bridgewater says that Chinese households – which account for about 80 per cent of trading volumes – will be hard-hit by the share market decline, particularly because many households piled into the market when it was at its peak. Bridgewater also points to the psychological effect of the share market collapse. “Even those who haven’t lost money in stocks will be affected psychologically by events, and those effects will have a depressive effect on economic activity”, it said. And that could well create instability in China, something the world does not need. This entry was posted on July 27, 2015 at 9:52 am and is filed under Uncategorized. You can follow any responses to this entry through the RSS 2.0 feed. You can leave a response, or trackback from your own site.